SHANGHAI -- Volkswagen Group is pushing its joint-venture partners including SK Innovation to build electric car battery plants which have at least one Gigawatt manufacturing capacity, CEO Herbert Diess said. "Anything below that amount would make little sense," Diess said on the sidelines of the Shanghai auto show on Sunday. Volkswagen will buy 50 billion euros ($56.57 billion) worth of battery cells for electric cars and has identified South Korea's SKI, LG Chem and Samsung SDI as strategic battery cell suppliers as well as China's Contemporary Amperex Technology (CATL). The automaker is retooling 16 factories to build electric vehicles and plans to start producing 33 different electric cars under the Skoda, Audi, VW and Seat brands by mid-2023. "We are considering an investment in a battery manufacturer in order to reinforce our electrification offensive and build up the necessary know-how," Volkswagen said. SKI is building a battery cell manufacturing plant in the United States to supply Volkswagen's plant in Chattanooga, Tennessee. SKI will supply lithium ion battery cells for an electric car that Volkswagen plans to start making in Chattanooga in 2022. 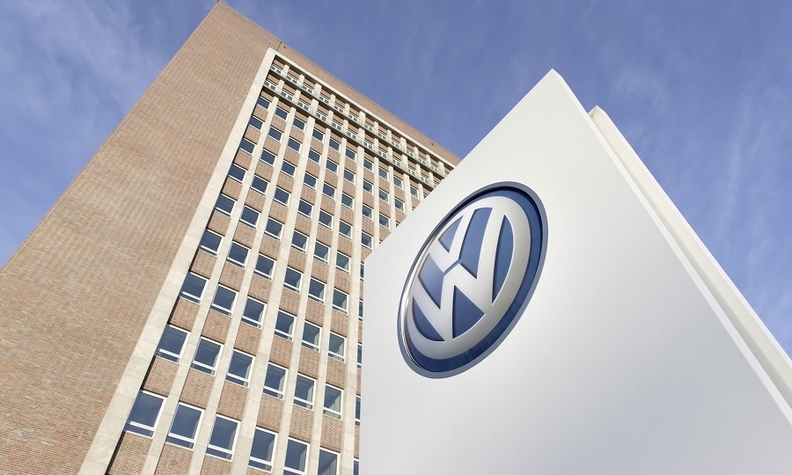 LG Chem, Samsung and SKI on will also supply battery cells for Volkswagen in Europe. CATL is the automaker's strategic partner for China, and will supply batteries for its electric fleet from 2019.